I bought my kids piggy banks. This way they can store up their pennies, nickels, and dimes for the future. Tucked away in the dark, the coins accumulate and wait for a future day when they will be redeemed for toys or candy. I have a piggy bank, too. Mine isn’t full of copper and silver; mine’s full of dreams. I slip them, one by one, into the slot for that someday in the future when they will be used. Occasionally I take them out and count them, marveling over their potential. Then back into the jar they go. This way they’re safe; nothing can ruin them. God wants to smash my piggy bank. He wants to show me the dreams He has stored up for me; dreams that show how stale and insignificant my dreams are. Because my dreams are all for me, and His dreams are for the good of all. 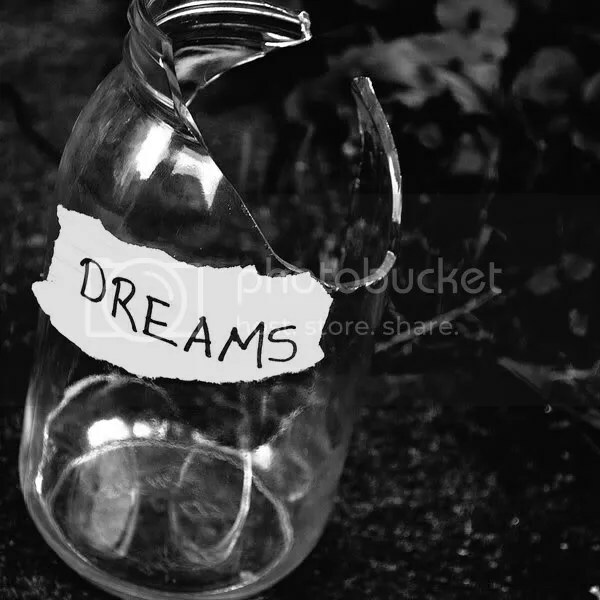 Melissa, we all have a jar of dreams. And there will come a time when God will start using what’s in that jar. Good post. Thanks, Glynn. :) I’m looking forward to when God exceeds my wildest imaginings. Praying the same for you! I really enjoyed your post for the One Word at a Time blog carnival. It really got me thinking about what we’re to be ambitious about. First, I’ve never heard anyone put this concept forth like this. This is a very creative, not to mention apt, illustration of something many of us must face. Nothing to add, but that’s an excellent way to describe it! Thanks Melissa. Thank you for this illustration! What a good reminder! Inspiring. Ohh… the dreams God has for us. SO much more than we could imagine for ourselves. Beautiful post Melissa!! Thank Jennifer. :) Loved your picture in your post today. “God wants to smash my piggy bank.” You really got me there. Excellent post. Thanks Lisa. I enjoyed visiting your site today. :) Loved your post for the blog carnival. i love this concept. brilliant, friend. thank you. i hope you’ll join me for imperfect prose on thursdays. thanks so much for stopping by my place today. Thank you! Thank you! :) What a cheerleader. Hi Melissa! It’s my first time here, and I love how you space here. Your post, it’s beautiful. The visual is still in my mind, and will have to chew it on some more. Vina – I’m so glad you stopped by! It is always fun meeting new people. :) Thanks for the encouragement. I love these thoughts! Great post, Melissa. Thanks Bridget! I enjoyed participating in the blog carnival. :) Thanks for hosting.